No matter where you go, the 2019 Toyota Highlander is ready to hit the road. Recognized for its reliability, the Toyota Highlander makes family travel easier and safer than ever. At Laking Toyota, safety is not just a concern, it's a priority. That's why all vehicles sold by Toyota in 2019 are equipped with the Safety Sense technology package. And the Highlander is obviously no exception. With Safety Sense, the 2019 Toyota Highlander features safety-focused technologies such as adaptive cruise control, a turn-by-turn alert system with automatic steering assistance and automatic headlights. If it detects a possible collision with another vehicle or with a pedestrian, the Toyota Highlander can even apply the brakes automatically to avoid the accident altogether. In a vehicle like the Toyota Highlander which can accommodate the whole family with its seven- or eight-seat configurations, safety is simply paramount. 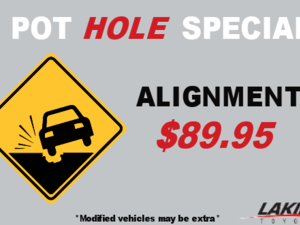 That's why all the technologies listed above are standard on all versions of the 2019 Toyota Highlander. 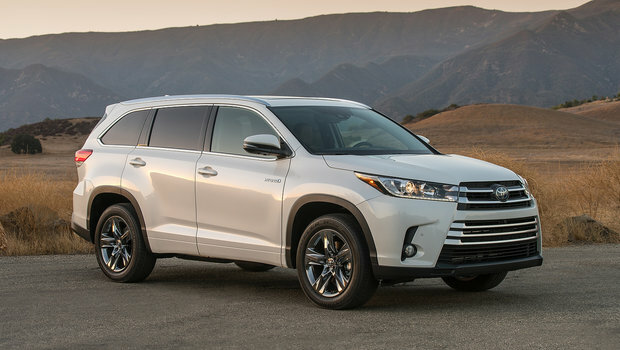 Recognized for its hybrid-powered vehicles, Toyota applied its recipe to the Highlander once again in 2019. With a six-cylinder engine paired with an electric motor, the Toyota Highlander Hybrid has a combined city/highway fuel economy of only 8.3 L/100 km. 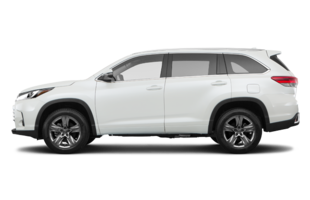 In short, the 2019 hybrid Highlander offers the fuel economy of a small car while retaining the many benefits of a mid-size SUV. The best of both worlds! In its traditional gasoline-powered version, the 2019 Toyota Highlander is also doing well with a combined fuel economy of 10.3 L/100 km thanks to its efficient eight-speed automatic transmission and automatic start/stop system. When it comes to performance, the Highlander also stands out with 295 horsepower on tap in the traditional version, and 306 horsepower in the hybrid. Starting at less than $40,000, the 2019 Toyota Highlander has plenty of arguments to convince buyers. Come and see it for yourself today at Laking Toyota. We are waiting for you!